File photo of a Columbia BV-107 at Custer, SD July 31, 2011. Photo by Bill Gabbert. 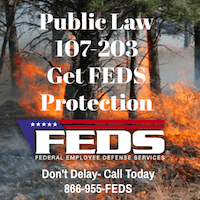 While some have said the National Interagency Fire Center responded slowly to the very busy wildfire activity that started March 6 in the central plains where about a million acres burned in a few days, eventually they did take action. 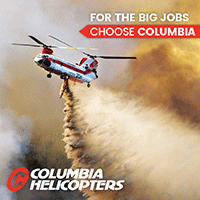 In an effort to mobilize a Type 1 helicopter they contacted Columbia Helicopters who had one on display at a helicopter convention. 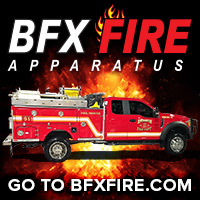 “This is the first time we have received a resource order for firefighting duty, while displaying our helicopter at a convention,” said Keith Saylor, Director, Commercial Operations, for the Portland, Oregon-based company. Reached by phone at the Helicopter Association International (HAI) convention in Dallas, Saylor explained that transitioning the helicopter, from a static display to a mission-ready firefighting aircraft, involved removing the rotor blades, exiting the convention center, then reinstalling the rotor blades. This was followed by a flight to a nearby airport for refueling and overnighting. Called up on March 9, the helicopter was deployed the following day to Ardmore, Oklahoma, under an optional use clause of a US Forest Service (USFS) exclusive use contract. The helicopter was dispatched with two pilots, five mechanics and ground support equipment drivers. A former US Army-operated CH47D Chinook, the helicopter was modified by Columbia Helicopters with a 2,800 gallon capacity internal tank for water, jells, foam, or retardant dropping, and had been flown to the convention following firefighting duty on East Coast fires. Also responding to the fires, Neptune Aviation Services dispatched three of its BAe-146 air tankers to multiple locations, according to Dan Snyder, Chief Operating Officer for the Missoula, Montana-headquartered company. Three of the tankers were dispatched from Missoula between March 9 and 11, and flown to USFS tanker bases in Ardmore, Oklahoma, Abilene, Texas, and the Rocky Mountain Regional Airport, near Denver, Colorado. A fourth BAe 146 tanker will continue to fly out of a base at Lake City, Florida, where it has been on duty since February 20. On March 16 Neptune mobilized T-05, the first of their P2V piston engine tankers to start an assignment this year, which will probably be the model’s last season as the company completes their transition to the jet-powered BAe-146 airframe. Above: A P2V air tanker on final approach at Redding, California, August 7, 2014. Photo by Bill Gabbert. 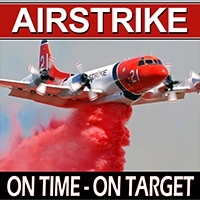 The U.S. Forest Service expects to issue a new round of Exclusive Use and Call When Needed air tanker contracts in the “near future”. Jennifer Jones, a spokesperson for the agency, said they plan to solicit proposals for Next Generation 3.0 Exclusive Use and 2.0 Call When Needed air tankers. 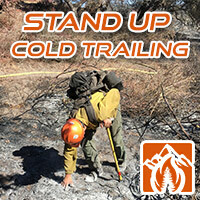 Next Generation 3.0 is intended for operations in 2018 and Call When Needed 2.0 is for this fire season. It is very unusual for the USFS to begin a contracting process more than a year before the expected mandatory availability period (MAP). In recent years they have attempted to award the contracts only a few months before the aircraft are needed to begin work. The first Next Gen contract, V1.0, was awarded 550 days after being advertised. The USFS should get their [stuff] together and advertise the solicitation, not the Request for Information, at least one year before the mandatory availability period. 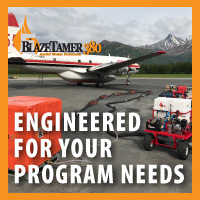 Top quality air tankers, crews, and maintenance personnel can’t be magically produced out of thin air. So this Next Gen 3.0 being advertised about 14 months before the expected MAP is a huge step in the right direction — but only if it takes much less than 550 days to make the awards. The current “Legacy” Exclusive Use contract issued in March, 2013 under which seven air tankers operated by Neptune Aviation are working includes six P2Vs and one BAe-146. It expires at the end of this year. Dan Snyder, President of the company, told us that as far as he knows there are no plans for the USFS to issue any more contracts for which the Korean War vintage aircraft could qualify — the P2Vs can’t meet the specifications for Next Gen air tankers. So this year will likely be the farewell tour for the P2Vs. Take pictures while you still can. The last CWN and Exclusive Use contracts allowed very large air tankers such as the DC-10 to qualify. If that continues to be the case in this next round of contracts there could be a 747 and possibly more DC-10s in the sky. Currently two DC-10s are on Exclusive Use contracts and third on CWN worked for much of the 2016 fire season. 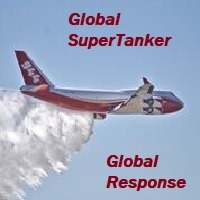 Last week the 747 SuperTanker received interim approval from the Interagency Airtanker Board. And speaking of Neptune, Mr. Snyder said that by the time the Next Gen 3.0 contract is in effect next year they will have a total of nine BAe-146s fully converted and available. The ninth one arrived at their facility in Missoula on November 20, 2016. In addition to their air tanker business, Neptune Aviation has the contract for maintenance of the C-23B Sherpas the USFS received from the U.S. Army which includes modifying them to be eligible to be certificated as civilian SD3-60’s. Their work was at first done in Ogden, Utah, but has been relocated to Missoula. Field Aviation in Oklahoma City received a contract for installing glass cockpits. Neptune has completed the work on three Sherpas and has started on a fourth. They “woke up” or serviced an additional seven that were in long term storage to make them flyable again. 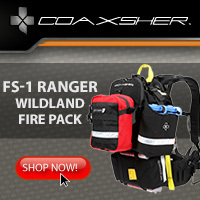 A timetable for converting those seven will be determined by the USFS, who expects to use the Sherpas to haul smokejumpers, personnel, and cargo. The 16″ x 20″ prints of Tanker 07 dropping on the Red Canyon Fire are sold out, but stepping up to take its place is another unusually low price on a print. 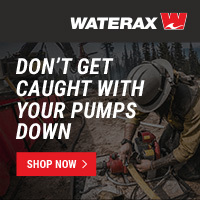 Still looking for that special gift? How about a 20″ x 16″ stretched canvas print of Tanker 161, an RJ-85, dropping on the Crow Peak Fire June 27 near Spearfish, SD. This special lower than usual price of $64 expires at the end of the day on Friday December 23. And only 10 are available at this price. The image will be printed on a premium glossy canvas and then stretched on a wooden frame of 1.5″ x 1.5″ stretcher bars. All stretched canvases ship within one business day and arrive “ready to hang” with pre-attached hanging wire, mounting hooks, and nails. I talked with Bob Hawkins yesterday about the Museum of Flight and Aerial Firefighting which is located at Greybull, Wyoming. It turns out that he is a director of the museum. He said this P2V-7 at one time belonged to Hawkins and Powers but was auctioned off when the company went out of business. It was given to the museum by Richard Camp who is the head of the “Save a Neptune” organization. This aircraft was never converted into an air tanker, but Bob hopes to get one someday that actually was an air tanker. Some of you may know Bob. He was the “Hawkins” in “Hawkins and Powers” that operated air tankers out of the Greybull Airport. Now he’s flying helicopters for Sky Aviation in Worland, Wyoming. Articles on Fire Aviation about the museum. Above: a 47-second video showing the aircraft at the Redmond Tanker Base on June 13, 2016. Clouds were hovering just above the ridges bordering the valley around the Redmond, Oregon airport when I was there on Monday, June 13. There was a chance of rain across the entire Pacific Northwest and there were no orders for the four large air tankers staged at the Redmond Air Tanker Base. Eric Graff, who has been the base manager for the last 12 years, said they had been busy in recent days sending tankers to fires in Oregon and northern California. 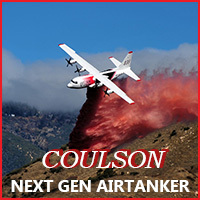 They had pumped 165,000 gallons of fire retardant into tankers so far this fire season. Base Manager Eric Graff (left) and timekeeper Cynthia Buehner at the Redmond Air Tanker Base. Working with Mr. Graff on Monday was Cynthia Buehner, in her third season as timekeeper for the base, and summer seasonal, Marissa Kraweczak, whose previous experience before this year was on the Zigzag Hotshots. Also at the base was the normal contingent of pilots and mechanics for the four tankers that were on the ramp — three Aeroflite RJ85s, and one Neptune Aviation P2V. One lead plane was also on scene. Aeroflite’s Pilatus PC12 (right) and a lead plane (left) at Redmond, Oregon. Photo by Bill Gabbert. I asked Mr. Graff if dispatchers proactively tried to group aircraft from the same company together at a tanker base, and he said no, it was not intentional. Aeroflite recognized that they had three of their tankers and crews at Redmond and called a meeting, with executives flying in on the company’s Pilatus PC12. The state of Colorado recently purchased two PC12s to use as intelligence gathering and communications platforms, calling them “multi-mission aircraft”. Other fire-related operations at the Redmond Airport include the Redmond Smokejumpers, the Northwest Fire Training Center, the Redmond Hotshots, and the Regional Air Group which supplies pilots for the jumpers and lead planes. Tanker 163 at Redmond, June 13, 2016. Photo by Bill Gabbert. Tanker 44 at Redmond, June 13, 2016. Photo by Bill Gabbert. Tanker 162 at Redmond, June 13, 2016. Photo by Bill Gabbert. Tanker 161 at Redmond, June 13, 2016. Photo by Bill Gabbert. Tanker 44, in the foreground, and Tanker 161 at Redmond, June 13, 2016. Photo by Bill Gabbert. Have you ever wondered how a radial engine works? A carpenter has built a model of a 9-cylinder radial engine. Ian Jimmerson apparently built this amazing project in his garage or workshop and everything appears to move just as it would in the real thing. But best of all, in the videos he very carefully explains how all of the parts work together. In the first video he tells us about the design of the engines, and in Part 2 he goes into more detail and animates it with an electric drill. Most of the earlier air tankers used various configurations of radial engines. For example, the P2Vs had Wright R-3350-26W Cyclone-18 18-cylinder engines. Some of the C-119s also had that same engine, but others had a Pratt & Whitney R-4360 Wasp Major with a large 28-cylinder supercharged air-cooled four-row radial piston engine designed and built during World War II.